When it comes to Christmas shopping, there are a few gift-giving categories: The Taste-More-Expensive-than-a-Louvre-Painting-Sister. The Don’t-Worry-I’ll-Just-Buy-It-For-Myself Dad. The “Oh-I-Really-Don’t-Want-Anything-This-Year”-But-Secretly-Does Best Friend. They’re all equally hard to shop for, but over the years have become mere obstacles to the holiday shopping season. Put in a little elbow grease, and the perfect gift will turn up for each of them. And then there’s the rare Christmas breed that spells trouble for every seasoned shopper: The New Boyfriend. Clothes? Too serious. Personal grooming products (like cologne)? Too personal. Jewelry? You’re kidding, right? Shopping for a new boyfriend is one of the most stressful things about the holiday season; go too serious and you look strange, like you’re too invested too fast. Go too light, and you look like you just don’t care (or don’t get him, which is a different thing altogether). Step Two: Read my creative ideas for a less-stress Christmas gift for The New Boyfriend. I guarantee you’ll find one that fits. Volunteer: Everyone loves giving back, and lots of people need it this holiday season. 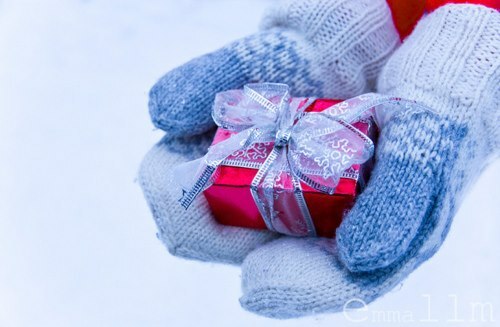 If you and your beau are really stumped for gifts (or cash), go give back together! Volunteer with a local food pantry or homeless shelter, or contact bigger organizations like the Red Cross or Habitat for Humanity. You’ll both get down to the true meaning of this holiday season--one that money can’t buy. Minor League Game: Sports tickets are expensive. Chances are you both like very well-known, national teams, too, which can make tickets even harder to come by this holiday season. Try gifting Minor League tickets for either a team that’s playing now, like hockey or basketball, or with teams you can see together soon, like baseball. And even if the team is minor league for a reason, i.e. they’re terrible, at least you both can laugh about it together. Geek Out: Everyone has weird, nerdy habits and guilty pleasures. Try finding out your partner’s geeky passion. Then get something to celebrate it. Is it Fantasy Football? Star Wars? Eighties heavy metal bands? Anything will do, from an old band T-shirt (try Goodwill or Salvation Army!) to a goofy ornament of a starship (I can’t lie ... it’s Star Wars for me. Nerd chic.) The fact that you paid attention to the little things will mean more than you know. Spend A Night In: Are you both home-bodies? This Christmas, gift a night-in together to each other. Do a movie marathon (whether you watch the movie is up to you...) or get a season of your favorite TV show. Can’t spend a night together? Simply gift a favorite movie or TV season. TV and films are pretty broad interests; you shouldn’t have any problems figuring out what he likes. That’s first date talk! Spend A Night Out: Are you guys the party animals of your friend group? Go out on the town as a gift then! Spending a night in someone’s company is a gift in and of itself. Pick a restaurant you both like, or do his favorite Italian place first and your favorite fro-yo place second ... the options are endless. You can invite friends along, another couple, or just go it alone. And those are just a few ideas. Get creative! I have a few little tips, though, to help you come up with your own. If you do want to buy material gifts, set a price limit. That way no one has to worry about getting a more expensive/less expensive gift. I’d suggest anywhere from $25-35. Talk about it. Communication is essential in any aspect of a relationship, not just during the holiday season. If you’re worried your gift is too lame or that you won’t be able to find one, bring it up. Maybe you two can work something out. Gifts should be fun and enjoyable. On that note .... don’t take it too seriously! It’s just one gift, for one day of the year. What you both do the rest of the year is just as important. One bad gift doesn’t define a relationship. Do your best and just let the rest happen. Try not to get too hung up on finding the perfect gift for that special someone. Remember that, unless they’re true shopping experts (like my mother), they’re probably worried about what to get you as well. And isn’t that the best part about exchanging gifts with someone you care about? It’s not what’s inside the shiny paper or the festive bags; it’s that they thought really hard about what to get you and wanted to make you happy. Shouldn’t that be the best part of giving gifts? Say what you will, but the thought really does count. (Are you warm and fuzzy inside yet? Thought so). Now, my young holiday-gifting prodigies ... go forth and shop! Do you know someone who is incredibly hard to gift? Who is just NEVER happy with what they get? We have the solution! Send them "The Gift of Kurrenci"
They can shop within our merchant network, donate to one of many organizations, or simply cash out! They will love you forever!